The NBA Finals series are religiously followed by countless fans all over the globe. Over the 71-year history of the league, the NBA has provided us with star players who’ve left their mark on the court and some nail-biting moments that we will never forget. The 1980s saw a revival of the old rivalry between East Coast favourites Boston Celtics and the ultimate champions of the West, the Los Angeles Lakers. Each team had their superstar: the Celtics in Larry Bird, who also won the Finals MVP, and the Lakers in legendary Magic Johnson. This Finals series also featured six other players that have gone on to the NBA Hall of Fame, with Kareem Abdul-Jabbar, Kevin McHale, Robert Parish, James Worthy, Dennis Johnson and Bob McAdoo each sharing the spotlight. The series was a nail-biter, as neither team managed to win back-to-back games, leaving fans hanging until the very last moment. The Lakers started off strong in Game 1 but Celtics managed to bring it home in Game 2 thanks to a magnificent steal by Henderson over a Worthy pass with 18 seconds left on the clock, which ended the Lakers’ lead of 113-111 and allowed the Celtics to win in overtime. The back and forth wins continued until Game 7, where Cedric Maxwell led the Boston champions with 24 to a well-earned win. The Bulls during Michael Jordan’s time were undeniably one the best teams to ever grace the NBA courts – and one that was consistently high in odds of winning the NBA Championship. In 1998, the Bulls beat the Western Conference winners Utah Jazz to win their sixth title in eight years and repeat their legendary threepeat. It also saw Jordan get the MVP Finals award for the sixth time – one of the most coveted titles in a player’s record, along with the Regular Season MVP. The Finals were won in a dramatic turn in Game 6, where the Jazz were leading with 86-83 with just 40 ticks left on the clock. 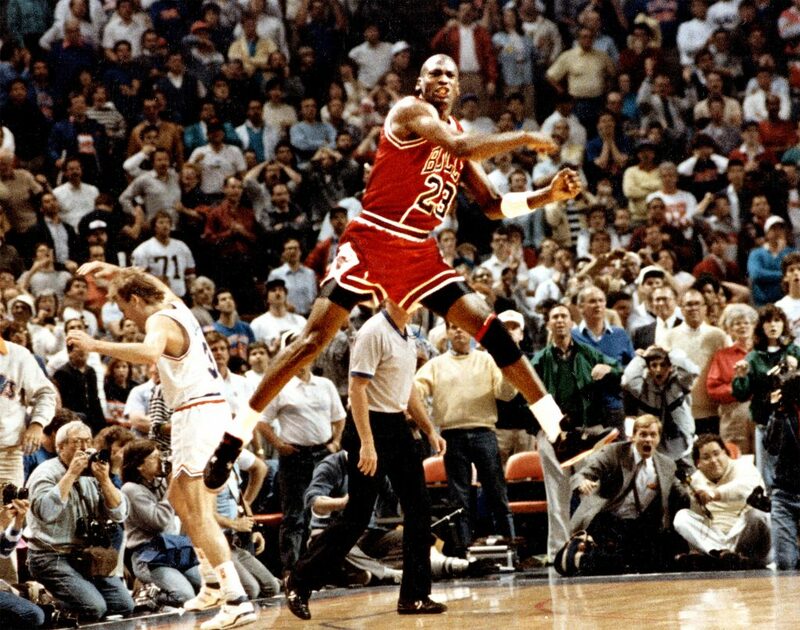 Jordan scored to make it 86-85 and then the game was again sealed by his steal against a John Stockton pass, which allowed MJ to use the remaining ten seconds to score a two-pointer, leaving the Jazz lagging behind with just five seconds left. They never managed to recover, and the Bulls took home the win in a game that for long held the viewership record in NBA history. Before rejoining the Cavs, LeBron led the Miami Heat in 2013 to their second consecutive NBA championship title. Their 95-88 win was marked by James’ performance, who shot to score 12-for-23 from the field, with a little help from D-Wade who added 23 points. Tim Duncan and Kawhi Leonard led the Spurs, who put on quite a fight. Yet the real dramatic part of the series was Game 6, where Spurs were leading by 94-89 with less than 30 seconds remaining – the officials even began preparing for the award ceremony by cordoning off the court. Yet valiant efforts by James and a coordinated offensive rebound by Chris Bosh and Ray Allen closed the gap and sent the game to overtime, where the Heat prevailed with just three points, ensuring a seventh game was required to decide the champions. Valiant efforts by James and a coordinated offensive rebound by Chris Bosh and Ray Allen closed the gap. Ever since the franchise was founded, the annual meetings of long-time rivals in the NBA Finals have given us some of the most amazing moments in history. It remains to be seen how the franchise will perform in the upcoming seasons.